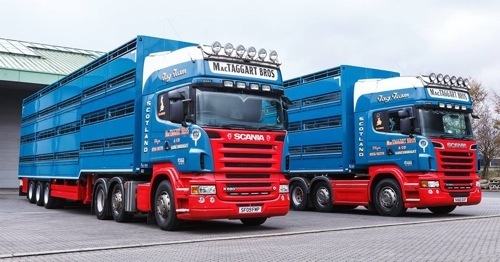 Thirty years on from the launch of the first – and award winning – 4 deck Professional livestock transporter that was showcased at The Royal Highland Show, Houghton Parkhouse have delivered the 1000th and 1001st production series to MacTaggart Bros Limited, Castle Douglas, Kirkcudbrightshire. Model numbers 1000 and 1001 at Parkhouse Coachworks, Milnthorpe Cumbria. 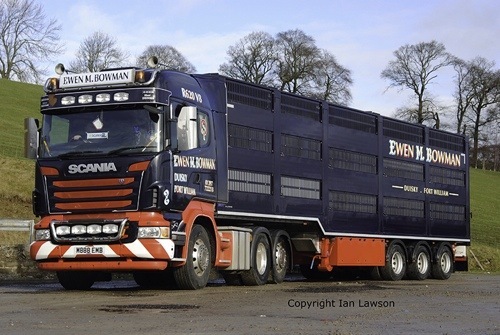 Collected by two of MacTaggart Bros simply stunning Scania R620’s. Never a Company to rest on it’s laurels, Houghtons Parkhouse have recently developed a totally new model The Platinum. A sister stable mate to the ever popular Professional – a mainstay on the livestock transport scene – the Platinum has been designed to revolutionise the carriage of multi-species for the livestock transport specialist and offer even greater driver efficiency, safety and ease. The Platinum has control of ventilation for all tiers from ground level, individual lifting trays per bay to allow different species to be carried with variable settings for parting division heights and openings. The lifting trays have no internal side barriers to optimise volume and the entire design is arranged to facilitate fast and easy washing. 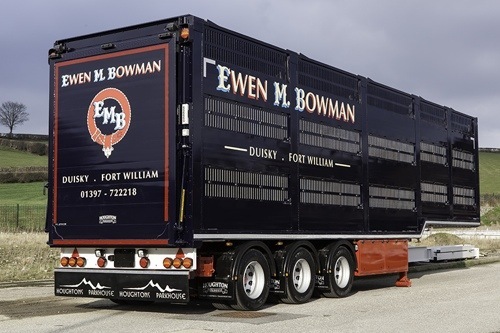 Recently a special height model was designed for client Ewen Bowman, Fort William. The Platinum model was built at 13ft height to allow access locally without having to detour around a low bridge. 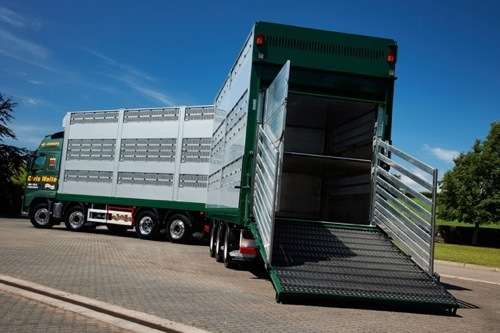 The Platinum trailer offers many lifting deck height options to allow a variety of species and ages of livestock to be carried. Previously the upper deck of Mr Bowman’s transporter had to be broken down before negotiating the bridge restriction. For more information on Houghtons, please contact @JP1 Jeremy Perkins. 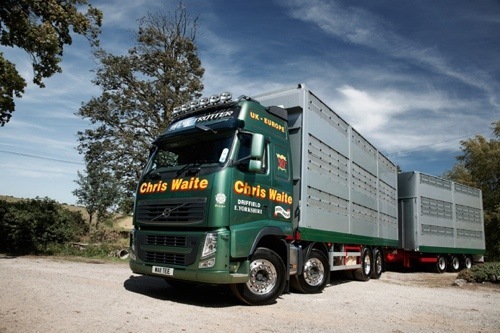 This entry was posted in Guest Writers, NEWS, Photos by truckbloguk. Bookmark the permalink.